Travel doesn't stop us from indulging ourselves with a slice or two from the local joint, and a recent trip reminded us that no restaurant technology can be left behind. This weekend I ordered a pizza online. I was traveling, and unfortunately none of our clients had shops nearby, but I found a local Italian joint that had good reviews. They did not mention delivery, but they were close to our hotel, and they had online ordering, a point in their favor. The site was a modern design that looked great on my phone. So far, so good! Overall, the online ordering experience was a success, in that I did get a pizza, the actual pizza I ordered, hot and ready. But along the way, a few annoying “gotchas” made the process more painful than it should have been. 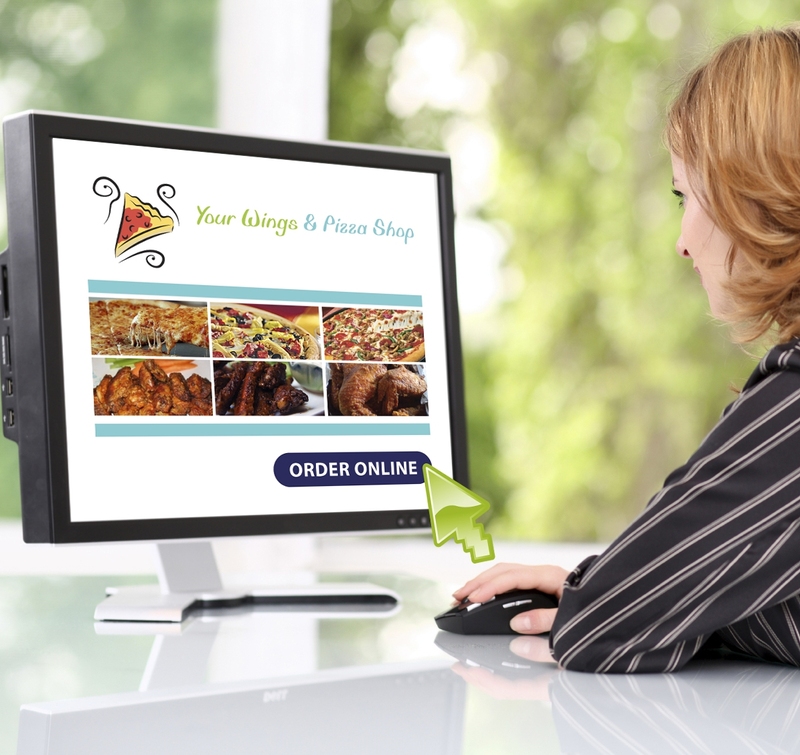 Take a look at these 8 mistakes and see if your pizzeria’s online ordering is living up to your customer’s expectations. We’ve got a party of 3 hungry for dinner, and the pizzeria in question has 3 sizes...small, medium and large. But with no description of how big their medium is, we’re left guessing what to order. It’s super simple to add size descriptions that will let your customer know dimensions (16”) or # of slices to expect. LESSON: Always communicate as many details as you can to help customers make informed decisions. This is a pizzeria, and I’m pretty sure they would let me order a half & half if I called. But with no way to do so online, we’re left with an unsavory compromise between 2 vegetarians and one meat lover. It’s clear their online ordering was powered by a non-pizza technology firm, but why would they choose to use a system that is so plainly lacking in a basic pizza feature? LESSON: Pick a restaurant online ordering system that handles your type of business. If you are a pizzeria, pick one that specializes in pizza. It makes me nervous to rely on free form comments and hope that whoever is making the order will read them. And if I wanted to add a topping, how would they charge? This site gave no easy way to modify or customize. Even the “BYO” pizza had no solution for “BYO”ing. Why try to fit pizza ordering into an online ordering system that’s clearly not designed to handle it, when there are so many great pizza online ordering solutions available? LESSON: Make sure your online ordering system supports customers’ ability to customize their meal to their liking. I don’t live in that town, and I’ll likely never be back, so why do I need to create a password to order pizza one time? Any extra barriers you put in place will turn customers away. LESSON: Make your online ordering simple and flexible - so repeat users can create an account to make things easier, but always allow a guest checkout. I’d checked the restaurant website ahead of time, and it didn’t mention anything about delivery. But when I was ready to checkout, delivery was shown as an option. So I went ahead and searched for, copied and pasted my hotel address into the site, only to be told that delivery was not an option for me. I suspect it’s not an option for anyone, since this restaurant doesn’t seem to do delivery. LESSON: Don’t list options or give customers choices that aren’t really valid. So I order the pizza, we’re excited, then follows the bad news. “Please check your email to see if the restaurant has accepted your order”. What?!?! Thus follows the longest 7 minutes of my weekend. Are they paying attention to the orders? What if the email doesn’t come?Hasn’t my credit card already been charged? I was just on the verge of clicking on the restaurant’s phone # to find out if they got my order - which basically negates the entire purpose of online ordering for both me and the restaurant - when the email arrived. LESSON: Choose a technology partner that can offer an instant integration and confirmation - usually by integrating with your POS system. Okay, I’ve got the email, and I’m ready to head out to pick up the pizza. I’m new in town, so my first step is getting my Google navigation set up. I bring up the email, planning to link to the restaurant address. But wait, there is no address. Why not? What a simple oversight. Granted, it’s not that big of a deal to search again for the restaurant website or search in Google maps directly. But if I don’t exactly remember the name of the restaurant, or if there are multiple locations, I could easily make a mistake and pick the wrong place. LESSON: Try to anticipate the information customers might want in their email confirmation, and think about their convenience along every step of the order, even after it’s placed. It was a busy Italian restaurant on a Saturday night. Live music in one corner, a full house, a bar, and a small pick up counter. I mentioned that I was picking up an online order and you would have thought I was speaking a foreign language. A sinking feeling in my stomach told me that we could be waiting a while. Luckily, the manager stepped in, asked me what pizza we ordered, and found it for us - already made and in the box. So clearly they did get the order, but their systems and staff aren’t fully on board for easy operational efficiency. LESSON: Make sure all your staff have clear procedures on how to process online orders. If possible, integrated online orders into your POS system, so that they follow the same process as other pick-up orders. The pizza was delicious. As a small, family-run restaurant, this place is doing a lot of things right. They have online ordering, in the first place, which is a huge positive. With a few small improvements, the customer experience ordering online could be as yummy as the experience that comes next - eating their scrumptious (tho vegetarian!) pizza. 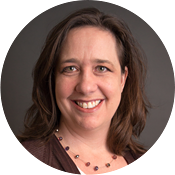 Duessa is the Chief Product Officer for Granbury Solutions. She sets direction overall for product development and marketing. A Cut Above The Rest: How Hiring Quality Drivers Builds Customer LoyaltyBytes to Eat: Online Ordering Solutions for PizzeriasCan Pizza POS Data Boost Sales?In-House Delivery vs. Third-Party Delivery Services: Which is Actually Better for Your Business?